Modified fade action: added fade up/down responses during fades. Previously if a switch was position was changed while fading the fade would complete before the new switch position was detected. Dimensions: 3.7" x 6.7" x 2.1"
The DMSC is a DMX wall switch scene controller with DMX input OVERRIDE function. Stores static scenes and then recall the scenes with any standard 2, 3, or 4 way wall switch configuration or any style toggle switch in a compact aluminum enclosure. Optionally OVERRIDE the switches with a DMX lighting board or any DMX input. Equipped with 4 switch inputs. 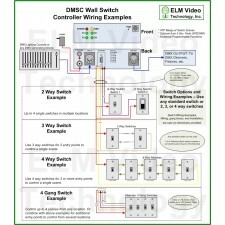 See the DMX Wall Switch Controller full description category page for more information. 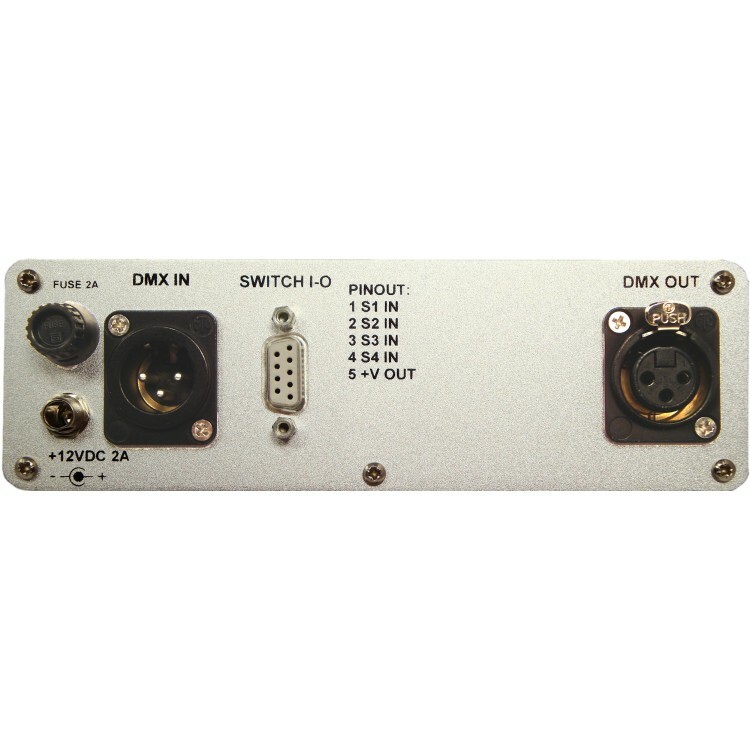 The DMSC unit has many programmable parameters and options, and is easily setup with PCB mounted dip switches. Each preset scene can be HTP (Highest Takes Precedence) merged with each other and optionally merged with the incoming DMX input (if applicable). With custom designs each DMSC DMX output can be merged with other DMSC units or PCB's or other DMG (DMX Merger) units or PCB's to offer custom and flexible output options. 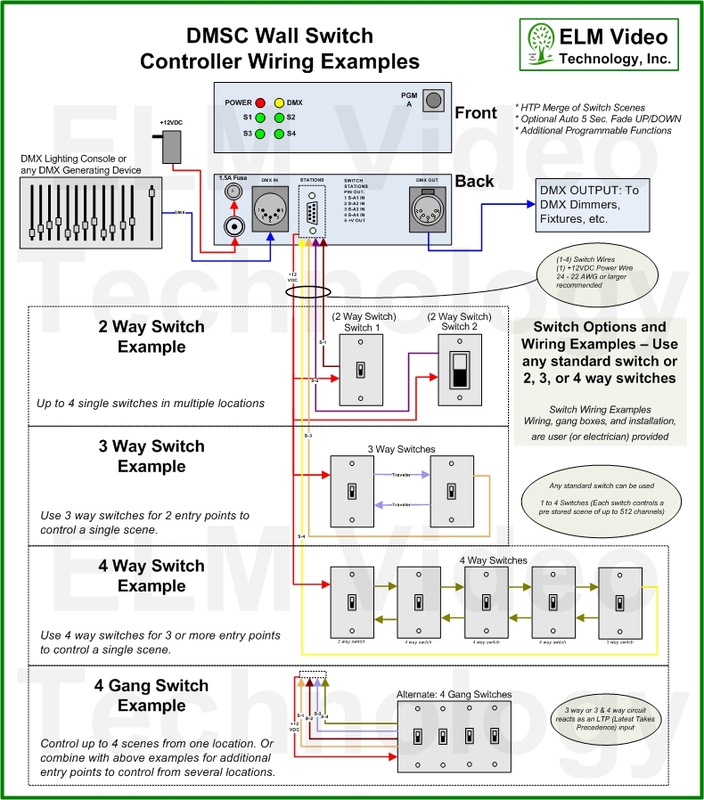 For more information see the Users Guide for programming and setup instructions and view the example diagrams. The Switches input / output connections are via a DB9 style connector. A Mating DB9 solderless screw terminal and power supply included. 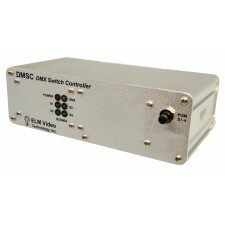 The DMSC is a DMX wall switch scene controller with DMX input OVERRIDE function. Stores static scene.. 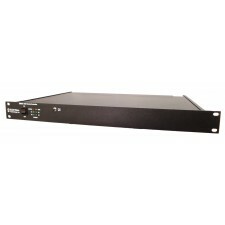 The DMSCr is a DMX wall switch scene controller with DMX input OVERRIDE function in a 1 RU enclosure.. 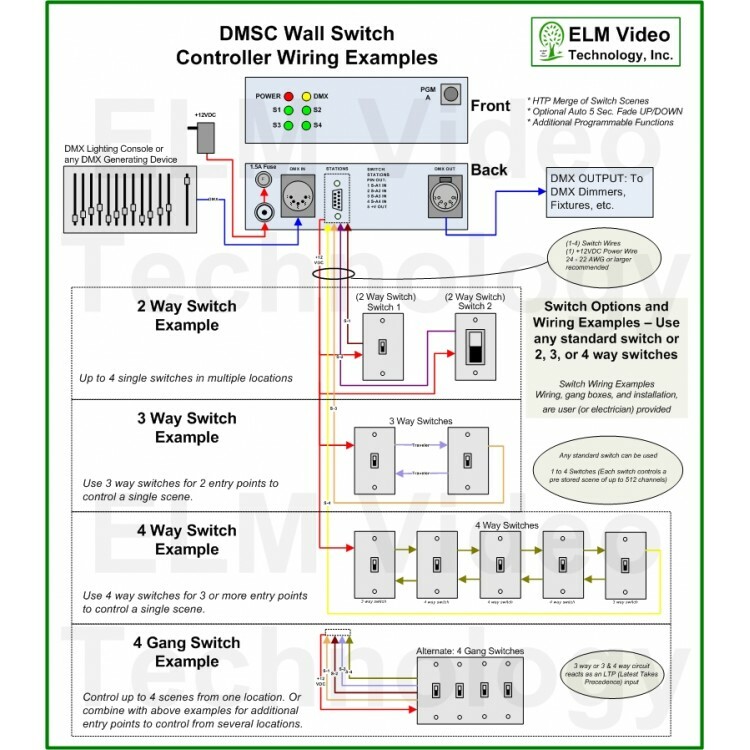 The DMSC-DIN is a DMX wall switch scene controller in a DIN rail wall mountable enclosure with easy .. 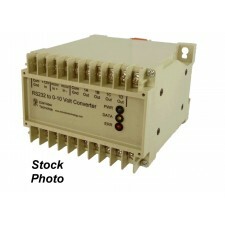 The DSC5V is a DMX scene controller that uses a standard wall switch available with 1, 2, or 4 switc..